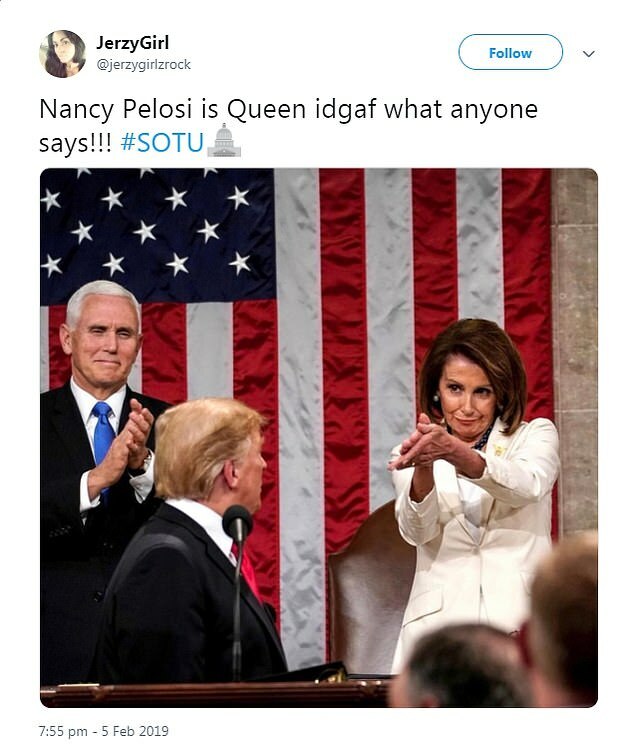 Stealing the spotlight, stone-faced Pelosi, clad in suffragist white and seated behind Trump, raised her eyebrows just so and golf-clapped the president as he called for an end to 'revenge politics'. 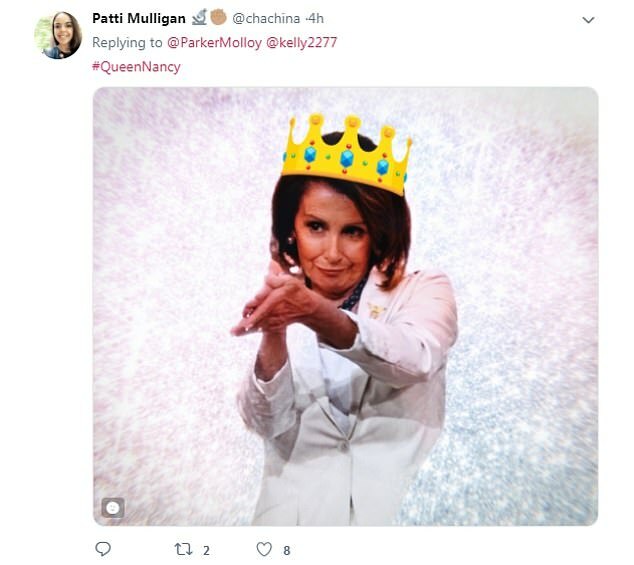 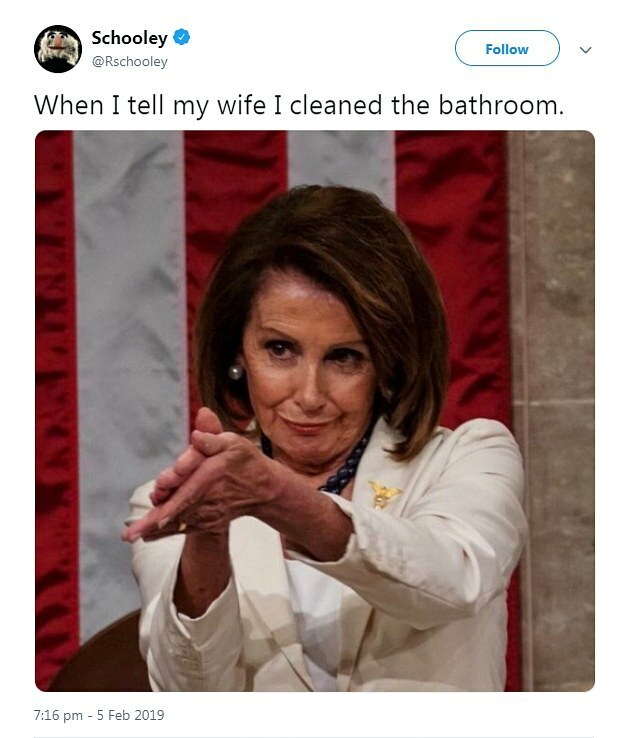 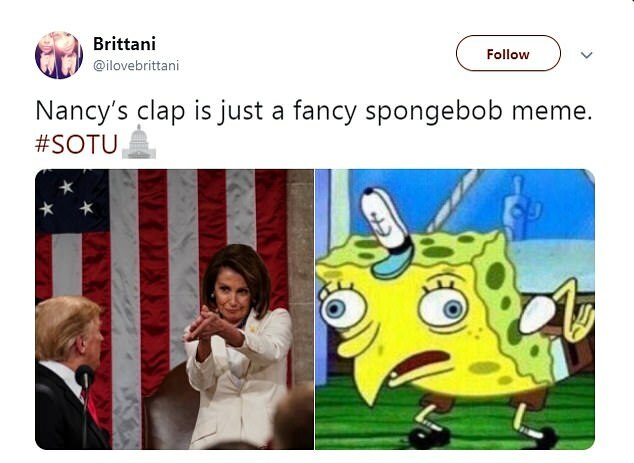 The meme enthusiasts created an array of hilarious captions, including those branding Pelosi the 'Queen of the Condescending Applause' and even plenty of baby shark song related ones. 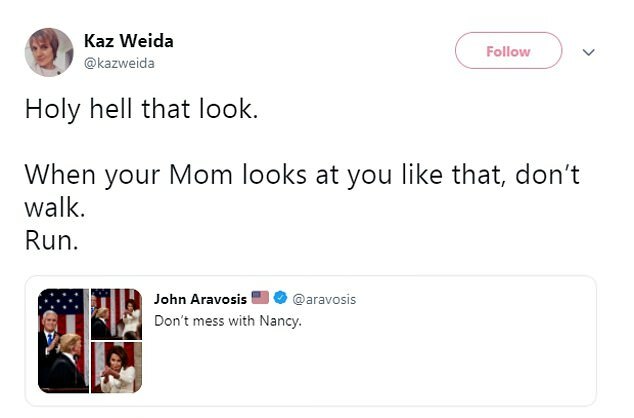 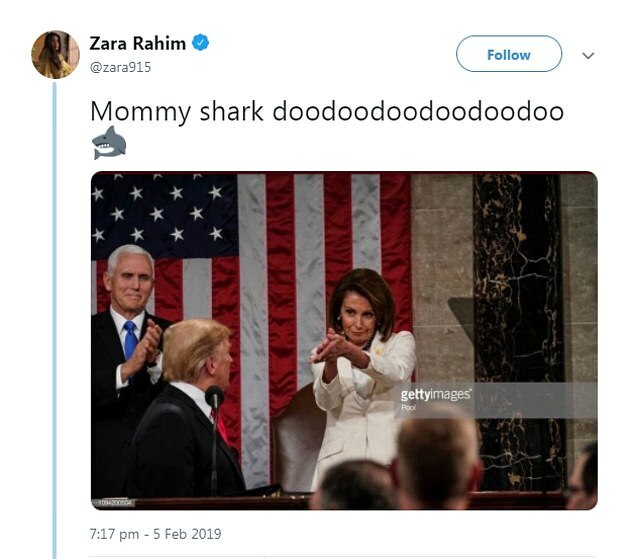 Another said: 'Nancy Pelosi straight up giving Trump the baby shark here', while one echoed this by captioning the picture with notes from the popular children's song. 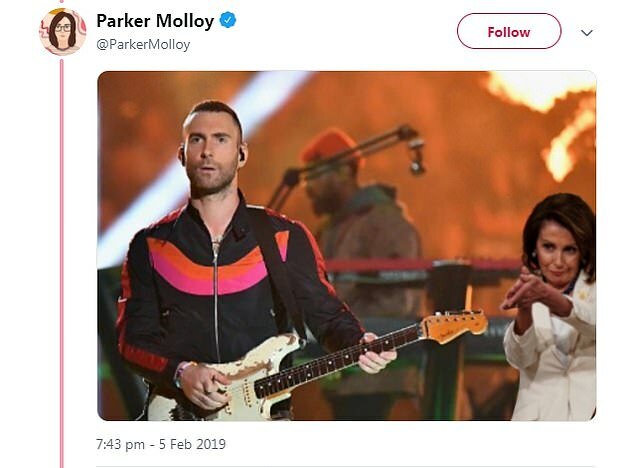 Twitter users also used the clap to mock the recent Super Bowl, with Maroon 5's Adam Levine getting caught in the firing line for his 'terrible' halftime performance. 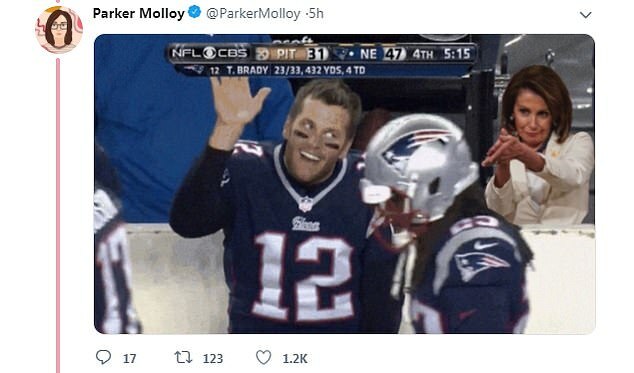 New England Patriots' quarterback Tom Brady was also called out for his mediocre performance, with Pelosi and her seemingly sarcastic applause being photoshopped into the background of a snap of him during the game. The meme-worthy applaud came after the president's call for unity during his speech - designed to call for 'cooperation, compromise and the common good' instead of partisan bickering and 'the politics of revenge'. 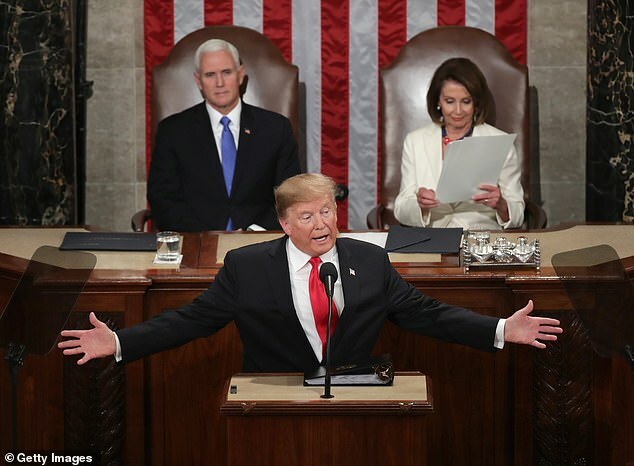 'We must reject the politics of revenge, resistance and retribution, and embrace the boundless potential of cooperation, compromise and the common good,' he said in his State of the Union address. 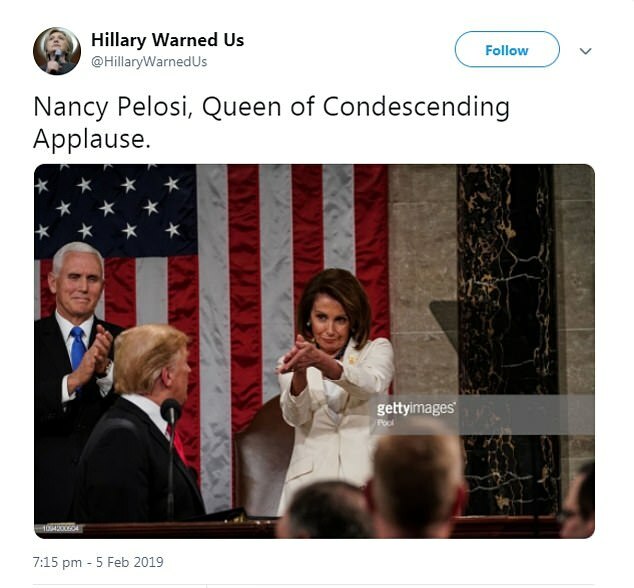 But it's traditional for the speaker to introduce the president before an address to a Joint Session of Congress. 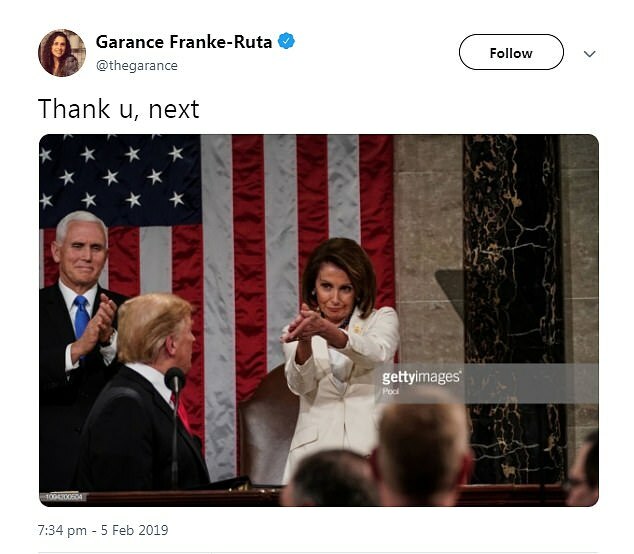 Instead, Trump walked behind the podium and began speaking right away. 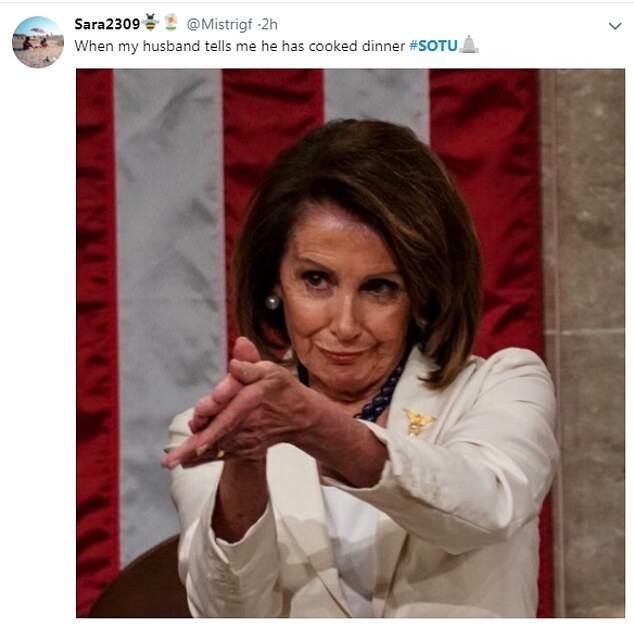 A senior House Democratic aide told DailyMail.com that Pelosi had planned to introduce the president. 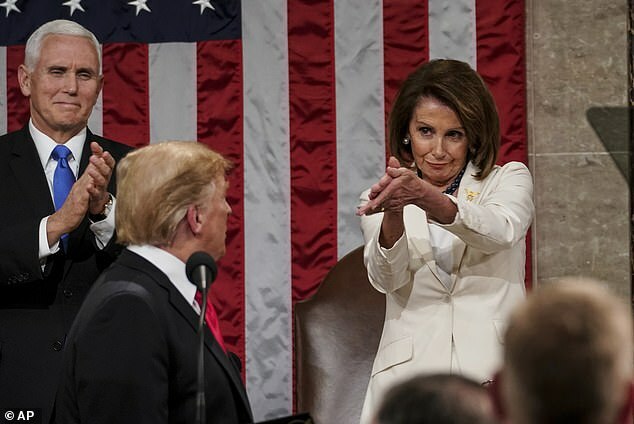 President Trump 'blew through the customary introduction by the speaker,' the aide said. 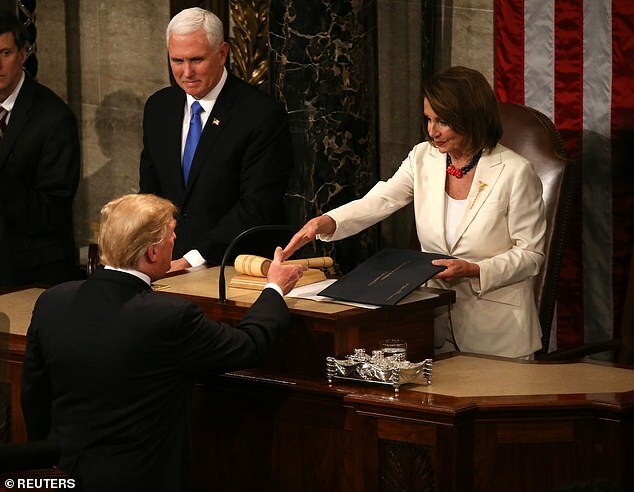 Pelosi emerged the winner when Trump reopened the government without funding for his border wall - meeting her demand to end the shutdown for negotiations on border security to continue.